Urban Alternatives, a family-owned company that has been serving the community for over twenty years. They focus on residential properties located in Chicago, primarily the Austin area, and its’ suburbs. How were we going to help this Urban Alternative stand out in a clustered industry? We decided to design a clean, sleek website and mobile app that provided all the facts with pictures that would help people see every apartment they have to offer. 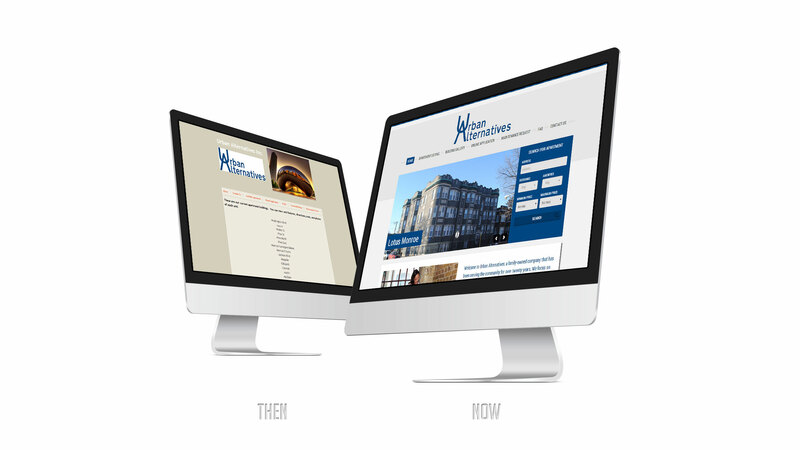 Since they are a family-owned business, we wanted to give the website a feel of comfort and trustworthiness. We developed an easy to navigate website and mobile app, so that anyone can use it. We included a map with all the properties pinned to visually see where the apartments are located. Since Urban Alternative has many people who lease from them already, there are easy to use maintenance request forms and online applications integrated into the website that makes it convenient for both parties.